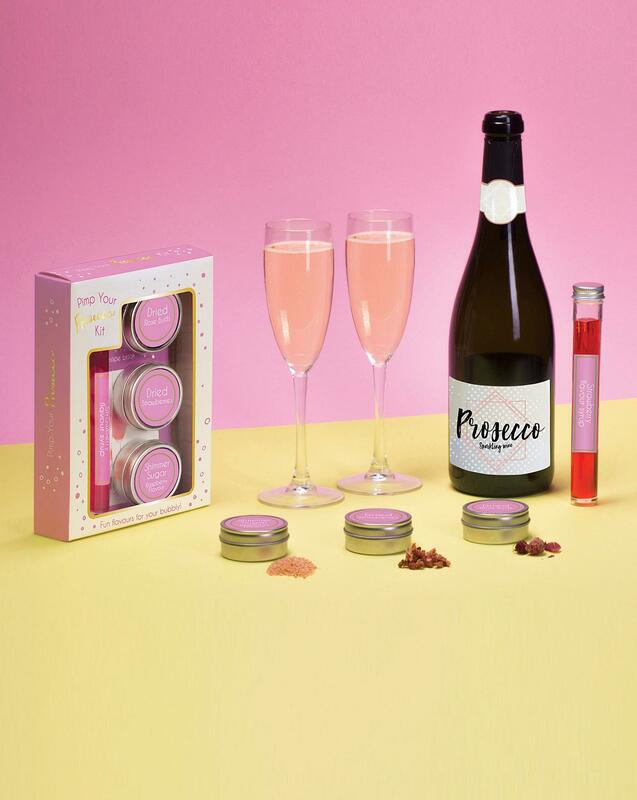 Make your drink more than just prosecco with the ingredients in this kit. Add one of these great flavours or mix them up to create your own unique taste. Includes: Dried Rose Buds, Dried Strawberries, Raspberry Flavour Shimmer Sugar, Strawberry Flavour Syrup and recipe book.